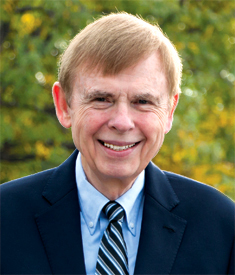 Kenneth C. Haugk is a psychologist, author, pastor, and teacher. He received his Ph.D. in clinical psychology from Washington University and his M.Div. from Concordia Seminary, both in St. Louis, Missouri. A member of the American Psychological Association, he has served as a clinical psychologist and has taught psychology and leadership at several universities and seminaries. Dr. Haugk is the founder and Executive Director of Stephen Ministries in St. Louis. He is the author of a number of books, including Don’t Sing Songs to a Heavy Heart: How to Relate to Those Who Are Suffering, When and How to Use Mental Health Resources, and Speaking the Truth in Love, and has published widely in psychological journals and popular periodicals. He is a frequent conference and workshop speaker. When Ken’s wife, Joan—a registered nurse, university professor, and mother—was diagnosed with ovarian cancer, they began a three-and-a-half-year battle against the disease. Together, they navigated the medical, emotional, relational, and spiritual challenges that can come when dealing with cancer. Bringing together his personal and professional experience, Ken wrote Cancer—Now What? as a resource people can give to help others address the challenges of cancer. He conducted research with thousands of cancer survivors, their loved ones, and medical professionals, incorporating their wisdom and expertise into the book. Ken lives in St. Louis, where he enjoys playing basketball, watching baseball, and spending time with his two daughters, son-in-law, and two grandchildren.